2013, 2014 All rights reserved. Glass, eBay or any other organization. some scrolling. We are working to finish uploading the complete site, but hope you enjoy what's been uploaded so far. 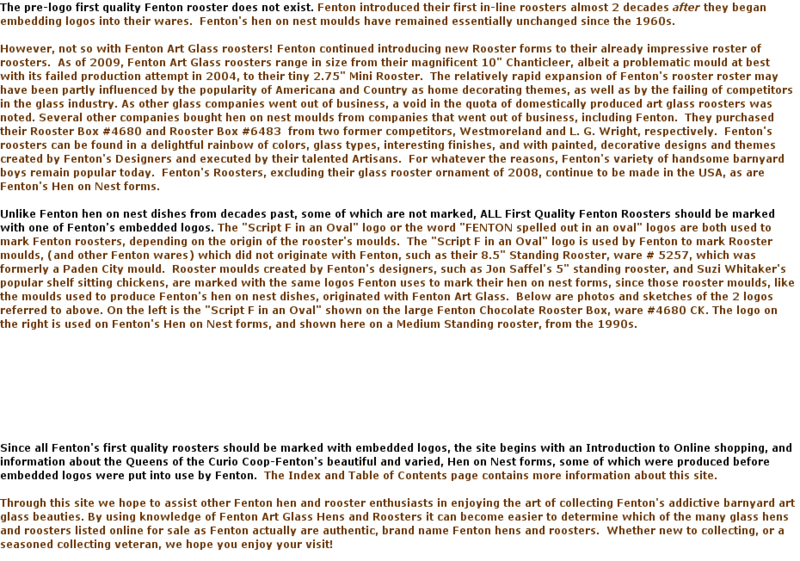 by Fenton-and why; and an important Introduction to Fenton ware numbers, logos, labels. fellow collectors-since unlike Fenton's roosters, the earlier hens of the 1950s and 1960s were not marked. notations-when applicable, and descriptions of the differences in treatments and glass types accompany the photos in the Galleries.